Oh Canada! 2017 marks Canada’s 150th or sesquicentennial (can you say that without stumbling?) anniversary, which makes it very fitting for Canada to be this year’s Vancouver International Wine Festival’s theme country. (The annual festival is not quite as old and this year will be the 39th celebration of wine). Last night, we had a preview of some of the 1650+ wines that will be poured throughout the eight-day festival, and I highlight four white wines below. But since this year’s focus is Canada, I wanted to steer you to British Columbia on the west coast of Canada in particular because quite simply, it’s an exciting time for this region. It’s being internationally recognized, not as an obscure wine region that makes ice wine, but one that is getting known, little by little, as a region for quality-driven dry wines. One to keep an eye on. A new world wine region with old world style. British Columbia is always well represented at the Vancouver International Wine Festival and you could happily focus on our local wines (as I did the first two years I attended). And I return to BC with three ways to get know the area and what I think we excel in. Herewith, three suggestions, if you can stay focused on a theme, and one tip to navigate the International Festival tastings Thursday, Friday, and Saturday, February 16 to 18, 2017 with a focus on British Columbia wine. British Columbia makes some beautiful sparkling wine. One way to get to know BC is to taste through all the sparkling wines made traditional method. This is the same method used to make champagne and most often, the two primary champagne grapes are used as well: Pinot Noir and Chardonnay. Pinot Meunier, the third champagne grape, is often replaced by Pinot Blanc and sometimes Pinot Gris. Regardless of grape, taste, sip and compare. Same method but at half the price. You could even make it a sparkling wine tour of Canada by including Ontario and Nova Scotia. Especially Nova Scotia, where you’ll find Benjamin Bridge. Some of the best I’ve tasted and sipped. Being a cool climate wine region (with very hot, short summers), BC excels at cool climate grapes: Chardonnay and Pinot Noir, the two grapes of Burgundy, France. Again, compare and contrast with your favourite Burgundys to see how far BC (and Ontario) has come. And perhaps how much farther it can go. Some in our local community say Syrah should be BC’s signature grape, or is, for red wines. But I think it’s the Bordeaux Blends I’d recommend tasting through, if you’re going for a BC red wine focus. Particularly if you want a great-value alternative to the wines of Bordeaux. Bordeaux blends are red wines that are made with a blend of at least two Bordeaux grape varieties: Cabernet Sauvignon, Merlot, Petit Verdot, Malbec and Cabernet Franc. The Vancouver International Wine Festival is of course international. So, if you’d like to seek out wines that go beyond Canada’s borders, here are several wineries whose quality wines I’ve had the opportunity to get to know, many through on-site visits and chats with the winemakers themselves on the winemaking. All that I’d recommend. And that one tip? The International Festival Tastings on Thursday, Friday, and Saturday evenings get crowded. Remember to step aside once you’ve received your pour. You can chat with the winery principals without blocking others, and perhaps more importantly, the spit bucket! These tastings are an amazing opportunity to taste so many wines in one evening, and to do that, spitting (and lots of water throughout the evening) are critical. I’ll have a few stories on what’s happening in British Columbia wine in the next few weeks and months to coincide with Canada’s 150th. So, below are four whites I tasted at last night’s preview that you might like to know. Two are from Nova Scotia, Canada and two from our closest American neighbours of Washington and Oregon. Cheers! Benjamin Bridge makes some of Canada’s best sparkling wines made traditional method using traditional Champagne grapes: Pinot Noir, Chardonany, and Pinot Meunier. 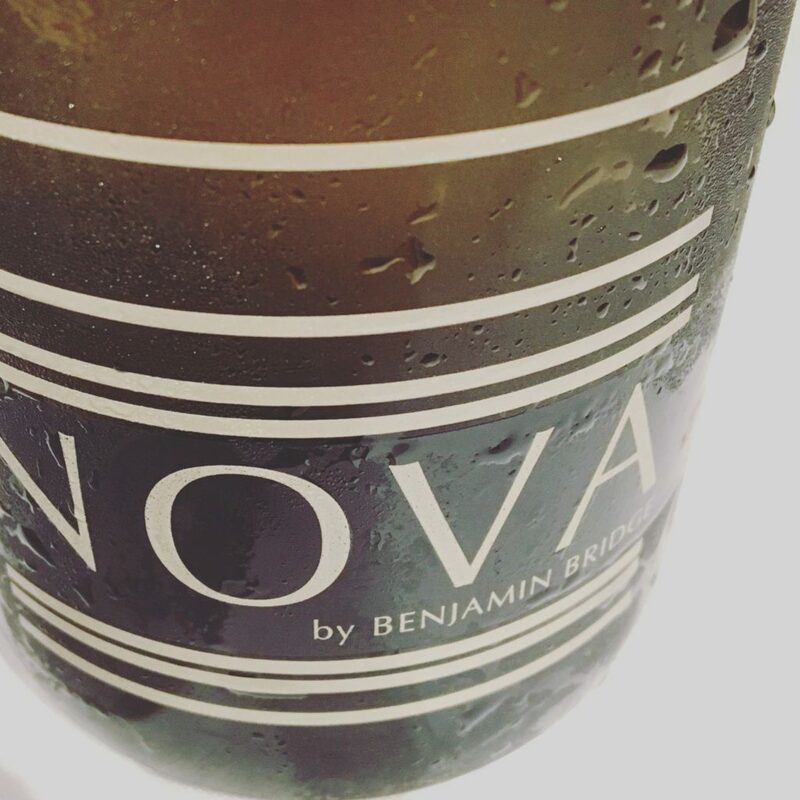 Nova 7 (2014) is one of their still wines, a blend of L’acadie, NY Muscat, Ortega and other white grapes you may not yet know. You’ll definitely want to taste through the whole flight of this Nova Scotia winery at one of the International Festival tastings. This wine will also be poured at Celebrating Canada’s 150th. This was my first taste of one of the brands in this portfolio of wines. 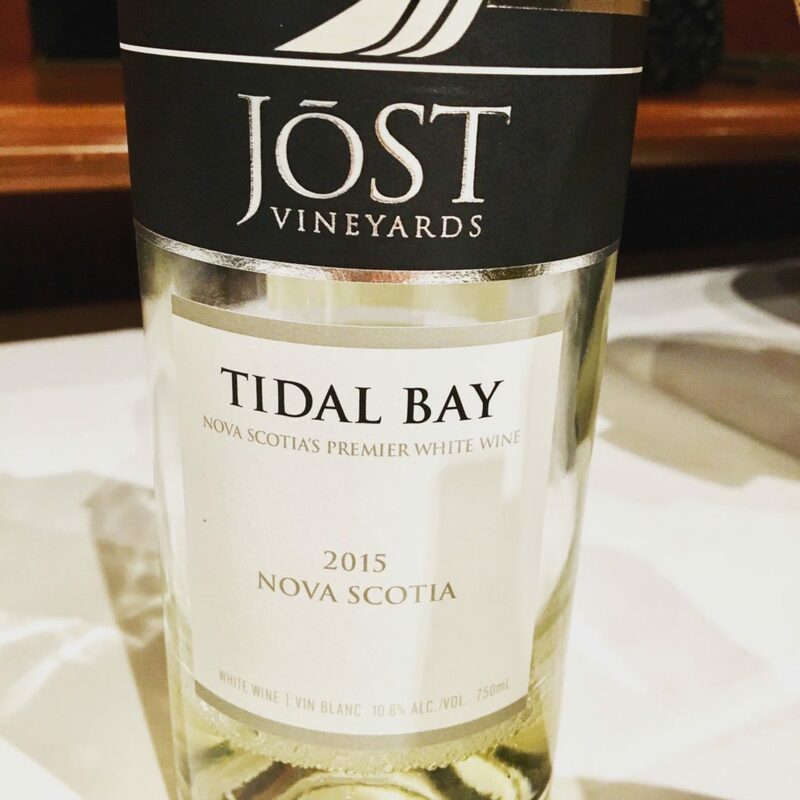 This still white wine has a similar blend as Benjamin Bridge’s Nova 7: L’acadie Blanc, Ortega, and Muscat – what the winery describes as Nova Scotia’s signature white. Green citrus and zingy is how it’s described. I have to agree. 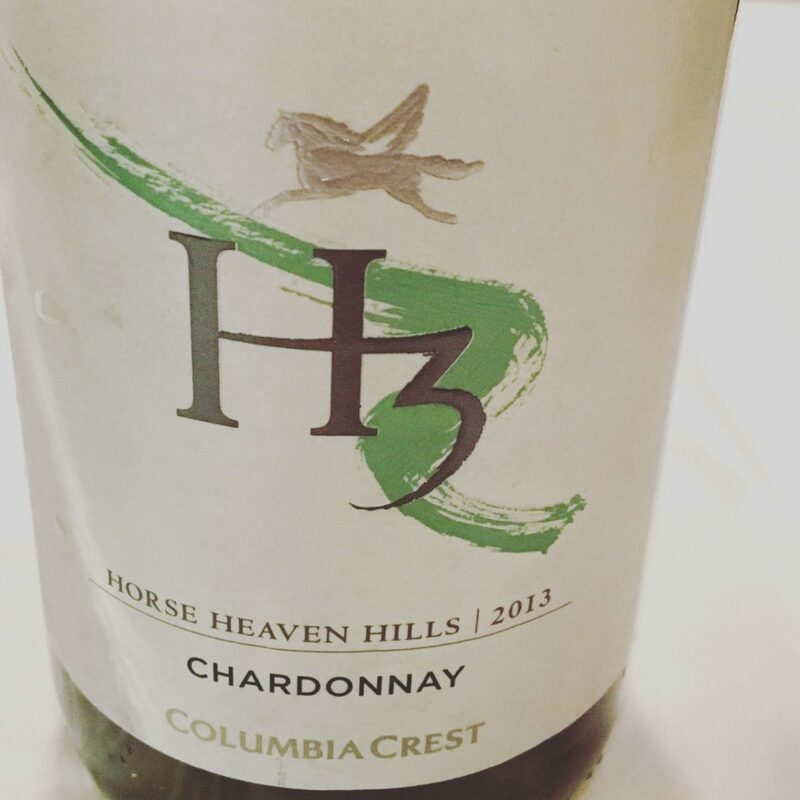 I loved this chardonnay from Horse Heaven Hills, a region in the Columbia Valley, Washington, USA. There’s subtle oak and a refreshing acidity that make it very quaffable. Washington is known for their very good value red wines made with Bordeaux grape varieties: Cabernet Sauvignon and Merlot, as well as Syrah. If you aren’t familiar with their whites, this Chardonnay would be a great introduction as it’s one of the most planted grapes in this Amercian state. You know Willamette Valley, Oregon for its internationally acclaimed Pinot Noir wines. 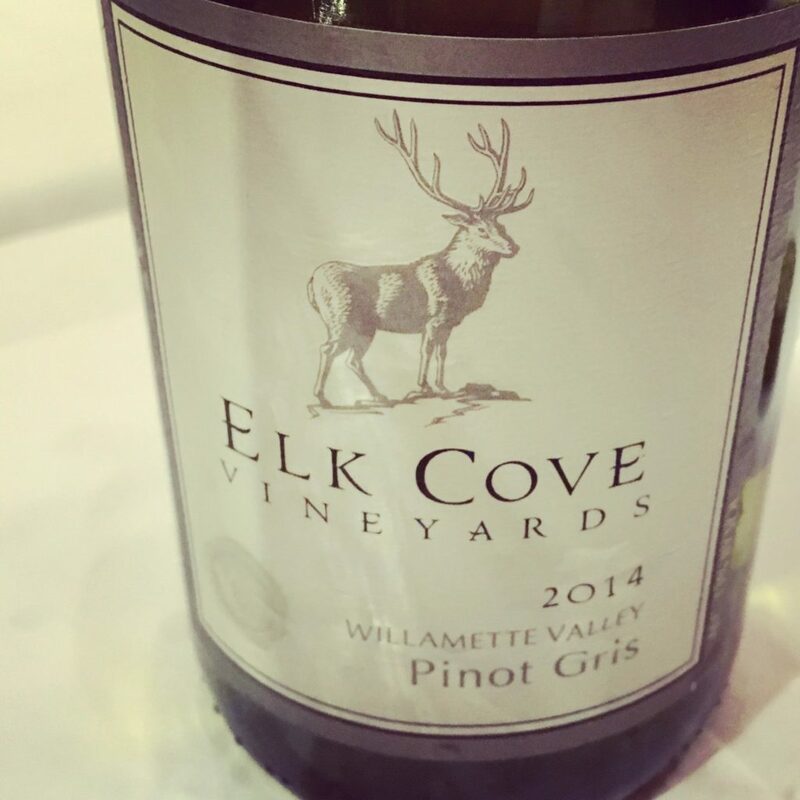 Time to get to know their other pinot – Pinot Gris. For other stories on the Vancouver International Wine Festival, visit: https://www.wineadventures.ca/c/vancouver-international-wine-festival/.